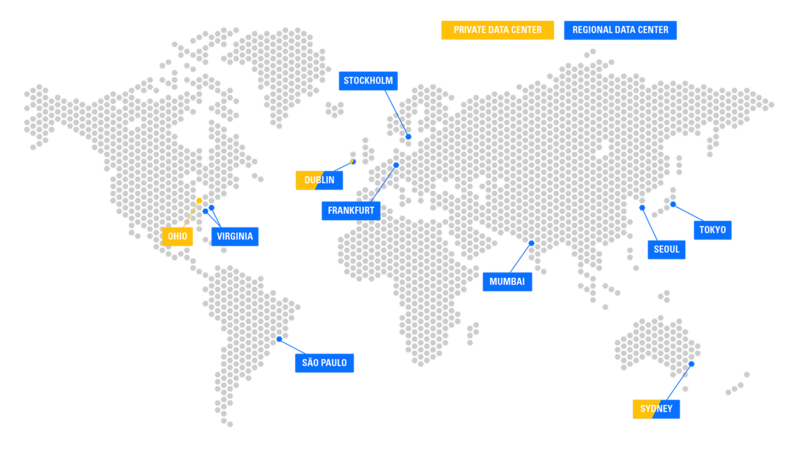 Aerohive has designed a geographically distributed public cloud architecture with data centers located in North America, Europe, and Asia Pacific. This optimizes regional service performance for our cloud networking services, and also enables Aerohive to demonstrate compliance with local data security and privacy regulations. Aerohive hosts our cloud infrastructure in Amazon AWS (Amazon Web Services) data centers. When an administrator registers for HiveManager Public Cloud, the customer account is assigned to the RDC closest to the customer’s designated country. For example, all accounts of customers that select Germany, Switzerland and Austria as their location, are assigned to the RDC in Frankfurt, Germany.